SCHIPHOL, 2 October 2018 – Rutges Cargo Europe and J.M. 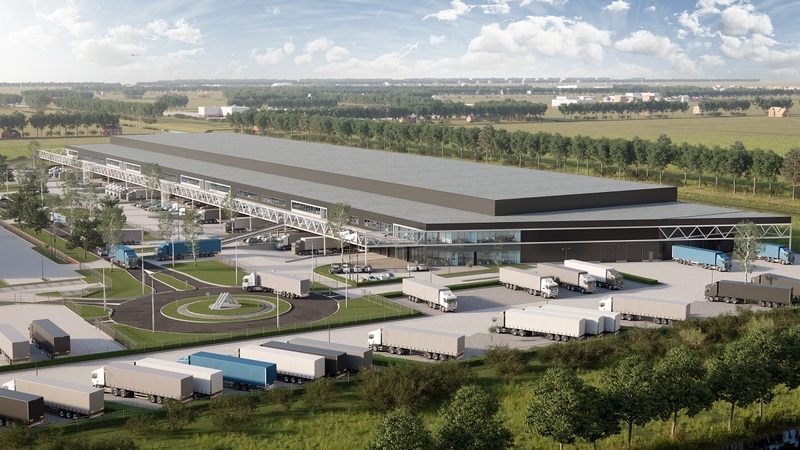 Logistics have closed a long term lease agreement at the new logistics development AMS Cargo Center II. In total they lease 6,000 sqm and 82 truck and trailer parking spaces. The first tenant for this project is now a fact. Rutges Cargo Europe and J.M. Logistics are 2 sister companies with their own expertise. Rutger Cargo Europe has 42 trucks and is strongly focussed on the European distribution of pharma, security and aerospace/sensitive related products. J.M. Logistics has 45 trucks and is an important player in the field of European road transportation of exceptional freight, especially agricultural machines, airplane engines and other oversized products. AMS Cargo Center II will be realized at Changiweg on Schiphol Logistics Park, direct adjacent to AMS Cargo Center I. The distribution center will get a Breeam ‘Very Good’ certificate and exist in total of 32,000 sqm divided over 7 individual units as off 3,6000 sqm. Construction activities will start at February 2019 and the delivery of the project is to be expected in the 4th quarter of 2019. AMS Cargo Center II will developed in a JV of Built to Build and Proptimize. The project has been designed by DENC Architects. The lease transaction with Rutges Cargo and J.M. Logistics is initiated by INDUSTRIAL real estate partners.